2018 can be seen as a year for moving forward. We built upon the successes of the past, and continued to innovate and compete in our areas of expertise. 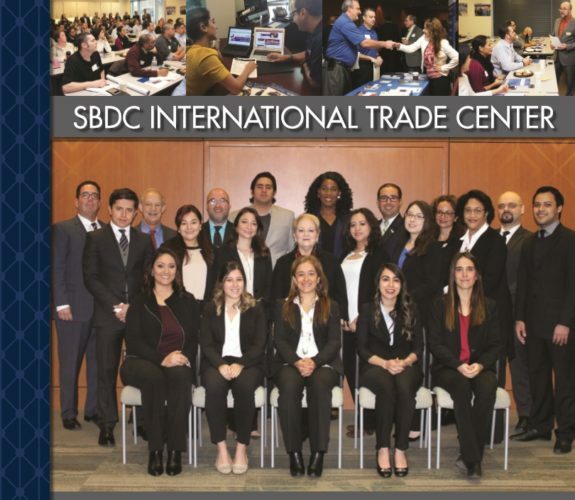 2018 was a great year for international trade in Texas, and for the International Trade Center. 2017 was another banner year in for international trade in Texas. We are pleased to share the successes that our clients and partners have helped to make possible. 2017 was a great year for international trade in Texas and for the International Trade Center. Please download our annual report for more details. 2014 can be seen as a year for moving forward. We built upon the successes of the past, and continued to innovate and compete in our areas of expertise. SBDCGlobal continued building SBDC networks, developing SBDC professionals, and connecting SBDC clients abroad. 2014 was a great year for international trade in Texas, and for the International Trade Center. Download the 2013 Annual Report today!